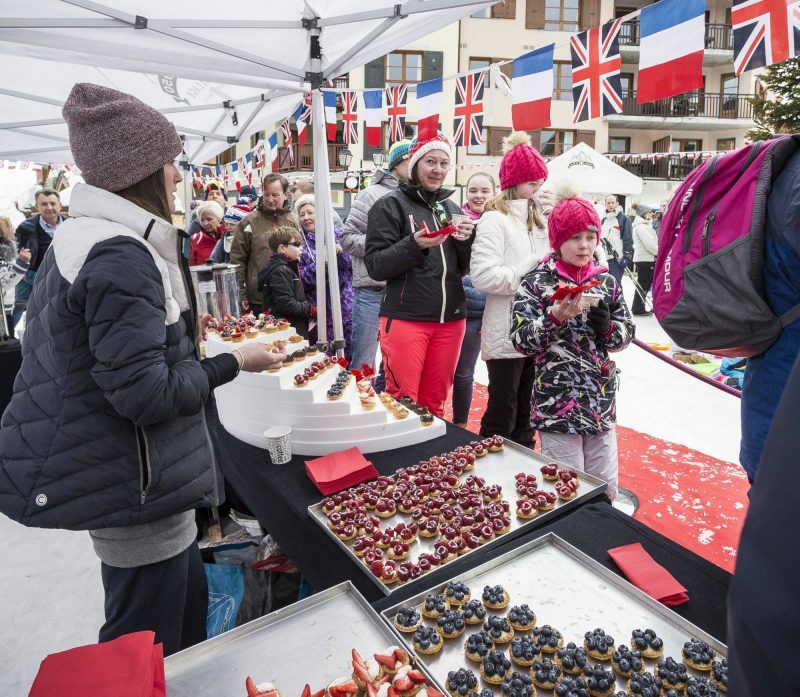 French ski resort les Arcs, which celebrates 50 years in business this winter and has long had a “special relationship” with British skiers, says it will be “thumbing our nose at Brexit” at a special celebration due to begin the day after so-called Brexit Day, 29th March 2019. The resort launched their annual ‘Great British Celebration’ in winter 2017, following the Brexit vote, next season it will run from March 30th – April 5th, 2019 in its third edition. 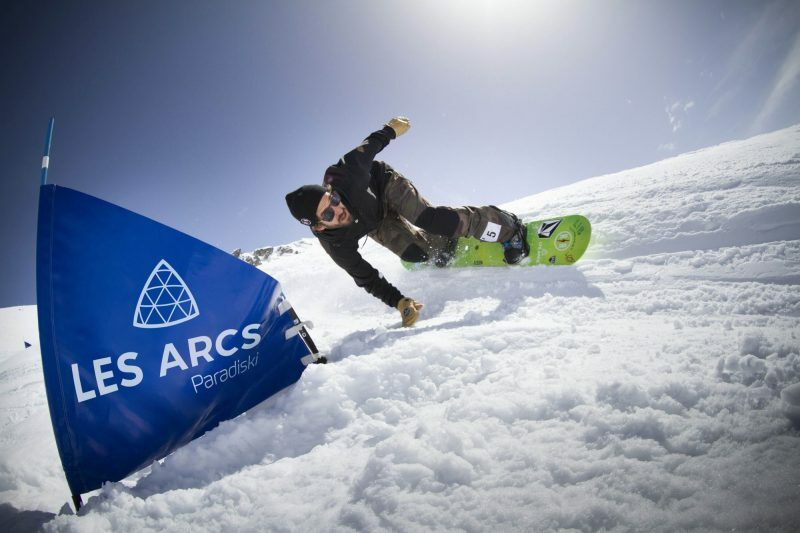 Last year’s event saw Jenny Jones, the British Olympic medal-winning snowboarder was the event’s sponsor of the 2018 edition of the Great British Celebration and the resort organised a signing session with her and she had a few runs with Valerian Ducourtil, a snowboarder for the Team Les Arcs (pictured above). During the week the whole resort will be flying the Union Jack and a variety of challenges and events between ‘Frenchies’ and ‘Brits’ will be staged and the celebration will end with a concert of Beatles songs. Nearly a third of Les Arcs’ 1.8 million overnight winter stays are made by skiers from outside France with the largest proportion of international most coming from the UK, making up 13% of the resort’s total clientele.